The Executive Director and charter member of Wegman Partners’ New York office, Todd is consistently regarded and endorsed in industry circles as one of the top legal recruitment consultants in the country. Originally associated with a prominent New York City based law firm, Todd entered the legal recruitment and consulting field in 1998. He quickly earned an esteemed reputation, with an ethos predicated on a distinctly consultative – rather than salesy – ideology, and an unwavering commitment to cultivating strong, enduring relationships. Leveraging an unfailing, built to last foundation of experience, insight, integrity and care, Todd is widely acknowledged and recognized as a seasoned authority and highly respected name in the national legal community. By combining his deeply rooted knowledge of, and granular familiarity with, hundreds of law firms (most notably their platforms, cultures, practice group dynamics and trajectories) he’s personally met with, with also taking the time to holistically understand each of his candidate’s unique objectives in tailoring their individualized search, Todd’s matchmaker approach is equal parts “client-centric” and “candidate-centric,” ensuring he achieves the right fit for each. Firmly established as an entrenched authority in the New York legal community (where he works with roughly 300 law firms alone), and highly respected and endorsed for his New York legal market expertise, Todd has built his reputation on working exclusively with only the finest and highest caliber New York-based attorney talent. In addition to his New York legal market specialization, Todd is also a high-profile fixture on the national legal landscape, where a substantial percentage of his representations involve assisting that same premier New York-based attorney talent pool when they relocate geographically outbound from New York to other legal markets. An accomplished, trusted leader with impeccable credibility, Todd is frequently sought out to consult and partner with law firm management committees, practice group leaders, managing partners and recruiting departments regarding key issues such as strategic growth, market positioning and branding, lateral integration and retention, compensation structures and practice group development. 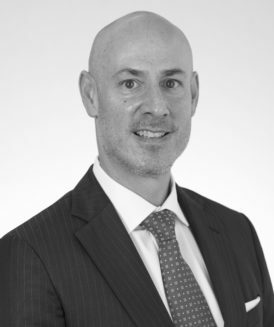 He is also a guest lecturer and panelist at recruiting roundtables and conferences, and is invited to speak regularly as a New York City legal market representative expert at major law schools, including Columbia University, Harvard University, New York University and the University of Pennsylvania. Todd received his J.D. from the University of Miami School of Law and his B.A. in both Behavioral Science and Law, and Psychology, from the University of Wisconsin – Madison. In his free time, he enjoys spending time with his family, playing sports and volunteering in the community, with his interests focused on social programs and causes associated with children, poverty, mentoring and animal rights.